The cornerstone of any truly connected home is the smart lock letting everyone that walks in know the house is indeed on the forefront of technology. And with the front door as prime real estate, many companies over the years have come up with wildly different interpretations of what the best smart lock is. 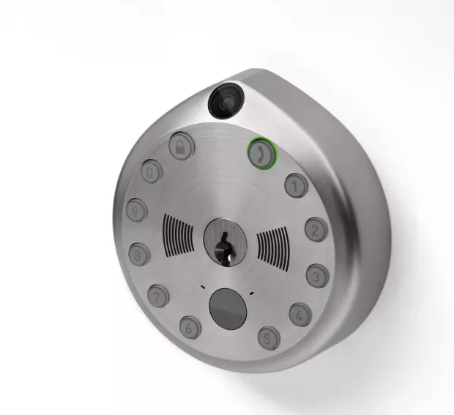 Now, the Gate smart lock is up to bat and currently funding on Indiegogo. Technically, the Gate isn’t one product, but three in one: A smart lock with key cylinder for physical entry, a keypad for coded entry and a motion-activated camera with 2-way audio and video. Together, the Gate offers users the versatility of other smart locks out there while expanding its features. Like others, users can assign temporary keys to Airbnb visitors, for instance, while its system of registered visitors help automate deliveries so that a one-time use code is sent to delivery personnel for scheduled drop-offs. Like other products, Gate’s motion-activated camera lets users keep an eye on what’s going on their doorstep, while its capability of 2-way audio and video isn’t as common in the segment. And since Gate is made with reinforced metal, there’s a good chance anybody with less than positive ideas won’t be able to easily get in. Each Gate starts at $179 (depending on when backers spring for one) and is expected to ship March 2017. The product’s Indiegogo campaign is looking for $70,000 by November 12th, 2016. The Gate is a solid product covering lots of bases. Others, like the Sesame and Nucli, offer more entry options but at the end of the day, that preference is up to the user. The Haven stands in stark contrast to all these smart locks, eschewing the conveniences of multiple entry options and video chat for a much more security-focused product that stands up to the worst someone can dish out.